Opus Dei, formally known as the Prelature of the Holy Cross and Opus Dei, is an institution of the Catholic Church which teaches that everyone is called to holiness and that ordinary life is a path to sanctity. The majority of its membership are lay people; the remainder are secular priests under the governance of a prelate elected by specific members and appointed by the Pope. 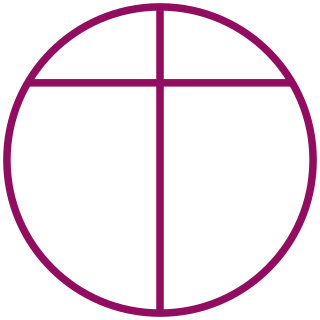 Opus Dei is Latin for "Work of God"; hence the organization is often referred to by members and supporters as the Work. Saint Josemaría Escrivá de Balaguer y Albás was a Spanish Roman Catholic priest who founded Opus Dei, an organization of laypeople and priests dedicated to the teaching that everyone is called to holiness by God and that ordinary life can result in sanctity. He was canonized during 2002 by Pope John Paul II, who declared Saint Josemaría should be "counted among the great witnesses of Christianity." IESE Business School is the graduate business school of the University of Navarra. Founded in 1958 in Barcelona by the Opus Dei, where its main campus is located,IESE in 1963 formed an alliance with Harvard Business School (HBS) and launched the first two-year MBA program in Europe. IESE is today one of the world’s leading business schools, with campuses in Barcelona, Madrid, Munich, New York and São Paulo. The Universidad de Piura (UDEP) is a private university in Peru. It has two campuses, the main one is in Piura, while a more recently built one is located in the Miraflores District of Lima. Joaquín Navarro-Valls, M.D. was a Spanish journalist, physician and academic who served as the Director of the Holy See Press Office from 1984 to 2006. His role as the press liaison between the Vatican and the world press corps gave him perhaps the highest visibility of any one person in the Vatican during the long reign of Pope John Paul II, with the exception of the Pope himself. He resigned his post July 11, 2006 and was replaced by Father Federico Lombardi. On January 20, 2007, he was named president of the board of advisers of the Biomedical University of Rome, an office he occupied until his death. Strathmore University is a chartered university based in Nairobi, Kenya. Strathmore College was started in 1961, as the first multi-racial, multi-religious Advanced-level Sixth Form College offering science and arts subjects, by a group of professionals who formed a charitable educational trust. Saint Josemaría Escrivá, founder of Opus Dei, inspired and encouraged them to start the College. It is a catholic university. Strathmore has a particularly successful accounting program: 60% of the CPA finalists in Kenya coming from it in the past ten years, dating back from 2007. The current Vice-Chancellor of the University is Professor John Odhiambo. Pontifical University of the Holy Cross is a Roman Catholic university under the Curial Congregation for Catholic Education, now entrusted to the Prelature of the Holy Cross and Opus Dei, or more commonly called Opus Dei. It was started in 1984 by Opus Dei, with the aim of offering the universal church an effective instrument for formation and research. Located in the heart of Rome, it has two campuses. One is in Piazza di Sant'Apollinare, northern area of Piazza Navona; Another is Via dei Farnesi near the famous Palazzo Farnese. Its stated mission is "to serve the whole Church by means of a broad and thorough work of research and formation in the ecclesiastical sciences, cooperating according to its special function with the evangelizing mission of the Church in the whole world." Fernando Ocáriz Braña is a Roman Catholic priest who serves as the current Prelate of Opus Dei. Monsignor Ocáriz is the fourth person to head Opus Dei since its founding in 1928. He is widely published in philosophy and has been a consultor of the Congregation for the Doctrine of the Faith since 1986. The UCEMA is a private university in downtown Buenos Aires, Argentina. UCEMA is a non-profit private organization whose beginning dates back to 1978. First founded as a research center with the objective of contributing to the economic development of the country, the university now offers seven undergraduate programs, nine graduate level programs, and three executive programs in business, finance, economics, computer engineering and political science. At present, UCEMA has more than 262 faculty members with terminal academic degrees in their fields of study, 6068 alumni and 2012 students. Juan Antonio Pérez López (1934–1996) was a Spanish business theorist. He was professor of Organizational Behavior at the IESE Business School (Spain), where he became Dean (1978–1984). He was also a visiting professor at PAD Business School of the Universidad de Piura (Peru) and IAE Business School of the Austral University (Argentina). His research and publications focus on Action Theory and its implications for Organizational Behavior. They collect and integrate economic, sociological, and ethical aspects. Francisco Javier López Díaz is a Spanish theologian and a priest of the Catholic Church incardinated in the personal prelature of Opus Dei. He currently teaches at the Pontifical University of the Holy Cross in Rome. Antonio Valero Vicente was a Spanish industrial engineer, professor and the first dean of IESE Business School, part of the University of Navarra. A pioneer in executive education and in using the case method to teach management in Spain, he was committed to the world of business. Valero served as a board member and advisor in public and private sector companies, and was an advisor to various government ministries. He helped found the first centrist political parties in Catalonia. In 1968, he was awarded the Grand Cross of the Civil Order of Alfonso X, the Wise. Guadalupe Ortiz de Landázuri Fernández de Heredia was a Spanish Roman Catholic professor and a member of the Opus Dei personal prelature. She was one of the first women to join Opus Dei, after meeting the founder Saint Josemaría Escrivá in 1944. She helped start Opus Dei in Mexico and also collaborated directly with Escriva in Rome. A serious heart condition eventually claimed her life in 1975. After a number of requests from people who knew her during her life, her cause of canonization opened on 3 November 2001. In mid-2017, Pope Francis declared that she had lived a life of heroic virtue and named her Venerable. The same Pope confirmed a miracle attributed to her intercession in June 2018. Her beatification is to be held on 18 May 2019 in Madrid.